These are probably the coolest NFL previews you will ever read. Check them out on BookieSmash. Are you betting on the transfer market? This list can turn you into a real winner. See it at BookieSmash. Sports betting can be a minefield if you don't know what you're doing or have a clear idea of what it is that you're betting on. 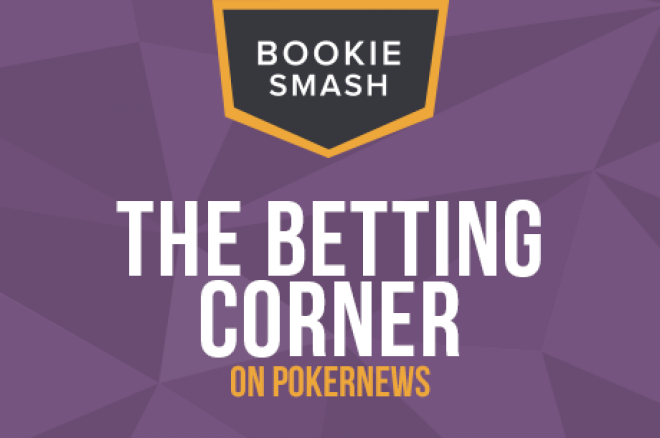 That's where BookieSmash comes in — the site where you can beat the bookie while enjoying the experience. Check out our latest news and views from the world of sports betting below. Although the current big news, at least in Europe, is the start of the football season, it's not all about the round ball. The NFL is about to start again in the States, and BookieSmash has the knowledge to see you through the season and to net you some great returns on your bets. Our excellent new NFL writer, Christina Quattrone, has a cool sports preview for both the AFC and NFC conferences. Check it out for free today! Meanwhile, tennis writer Toby Castro has everything need to know about the Rogers Cup, the prestigious tennis tournament that has been causing both excitement and controversy all week. Make sure you read his views on the men's and women's tournaments before parting with your deposit. The Ashes might be decided, but following England's victory in the fourth test at Trent Bridge there's another match to win at The Oval. Australia might be on the ropes, but this is no time to let up on the pressure, and the England management knows it. After most commentators were calling for Australia heading into the test series, there are plenty of lessons to be learned. We've summarized the things you need to know for the next time you bet on a test series. Of course we at BookieSmash are also getting excited about the second weekend of Premier League games, and we've taken a look back at the opening weekend, as well as a look forward to the upcoming matches. For our guide on the unexpected and utterly predictable from those opening matches, take a look here. Warning: includes an Arsenal team in meltdown, and a terrible Taylor Swift joke. We like to put the spotlight on clubs and their fans to gain a greater knowledge of the betting landscape. We've done just that in our look at a Premier League club on the rise, Steve McClaren's Newcastle United. Fans have been telling us all summer that there is cause for quiet optimism on Tyneside, and we believe them, having seen the Magpies' first game of the season against Southampton. Take a look at what they say and how it can influence your bets. If you're looking for variation in your betting, don't just put your money on match results; bet on the transfer market, while you can. The transfer window slams shut in just over two weeks - that means feverish business being done behind-the-scenes between a series of clubs in need of reinforcements, and agents in need of a windfall. We make sense of this great-value market for betting, and look at some players who will be moving in August. If you are into betting, BookieSmash can make you a better bettor, so allow us to help you enjoy your sporting weekend and beat the bookie.